Below you find a selection of Arctor screenshots. You can click on any screenshot to enlarge it. 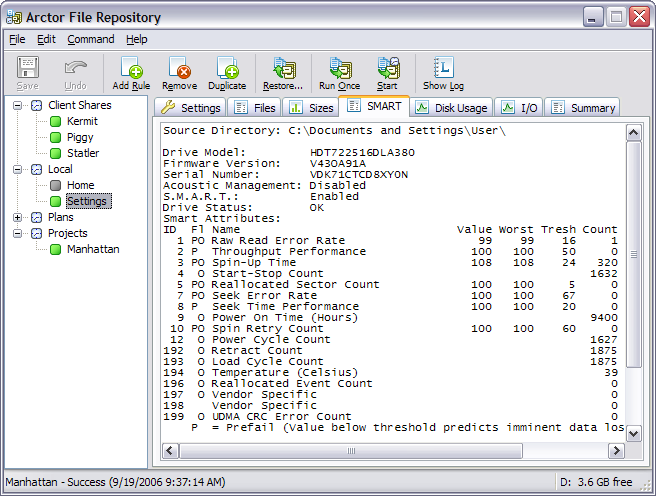 Arctor main window and file browser showing a list of files selected by a rule, and statistics about these files. 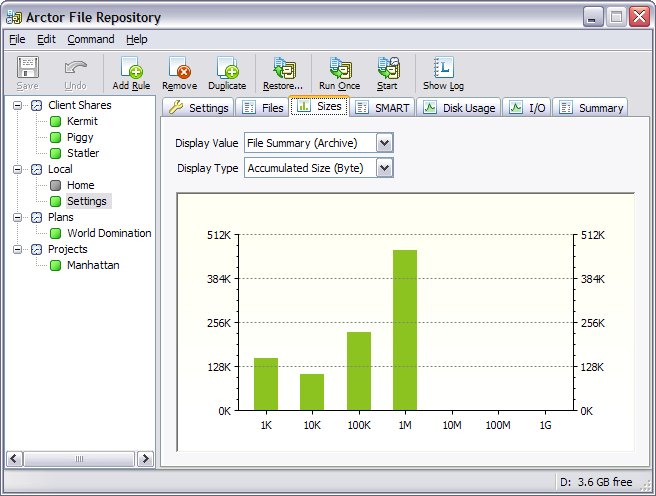 Arctor disk usage and file size distribution statistics. Arctor S.M.A.R.T. diagnostics and backup rule configuration options. 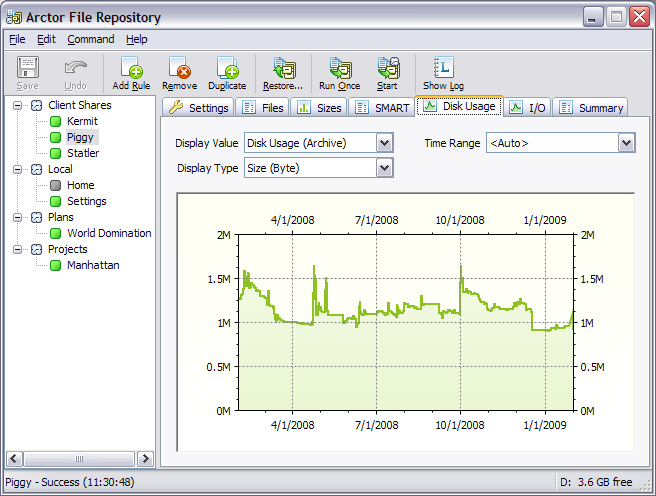 Read more about our hard drive backup software on the Arctor overview page here. Read a detailed description of Arctor's core features and benefits. Read user opinions about our hard drive backup software. Read the Arctor User Manual online. "I am really enthusiastic about Arctor. I worked for days to set up an automatic backup with some other folder synchronization software which was complicated to use. After that working with Arctor's interface was a real treat!"